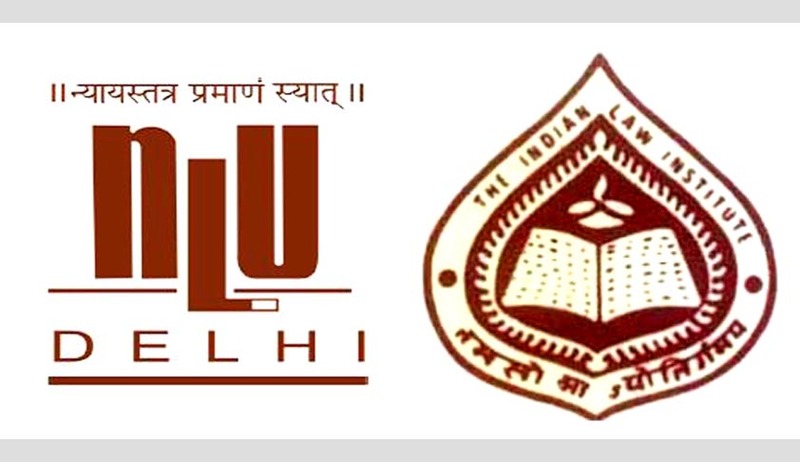 National Law University, Delhi and Indian Law Institute, Delhi are the only two law colleges who have made it to the National Institutional Ranking Framework (NIRF) released by the Ministry of Human Resource and Development (MHRD). "The NLUD's performance is phenomenal as it has been made to compete with general universities unlike the IITs, IIMs, Pharmacy who were placed in a separate professional categories for ranking purpose. Secondly, NLUD is the only law university to have been included in the top 100 club. This is after receiving remarkable score of 3.59 from NAAC. This incredible for a University who is just 8 years of existence". The NIRF was approved and launched by the MHRD in September 2015 in order to rank educational institutions across the country. A Core Committee was set up by the MHRD to release the ranking of top 100 universities, engineering colleges, management schools and institutions of pharmacy across India. The Committee took into consideration several parameters such as teaching/learning resources, Research, Professional Practice & Collaborative Performance, graduation outcomes, outreach and perception. The data for the first four parameters was submitted by the institutions and verified by National Institutional Ranking Framework. For the perception criterion, feedback from various stakeholders was sought. Indian Institute of Science, Bangalore has topped this list, with a score of 91.81. The second and third ranks have been received by Institute of Chemical Technology, Mumbai and Jawaharlal Nehru University, Delhi, respectively.